I really like how easily accessible invoices are for every account. I also enjoy how easy it is to interpret all of the information on this site, both for me and for the version that the clients see. It was very easy to customize the invoices that we use. I dislike the fact that you have to enter the customer ID each time you need to switch from an office's invoices, to their account info, etc. I have to click out of the invoices tab and click on the accounts payable and reenter the company ID to see accounts payable and I have to do the same process for looking at account info. Intacct has its ups and downs but I have yet to find better software. This has helped me with functions all throughout the accounting department from accounts receivable, accounts payable, customer support, and even marketing. All around a great product, could use some updates but still performs wonderfully for our office. Only a few minor discrepancies but nothing too major. Definitely worth investing in. We are able to easily keep open books with our customers and provide them with all the billing information they need. It was very easy to set up the general format for our invoices, it looks clean and was easy to build. It gives our company a very professional look, as this is the main source of information that they have from us directly. It has a few report assistants that help you to select what information you want to appear, what you want to know inside the report, the most relevant information to analyze only what you are interested in and save time by removing data that you do not want to review . It has a learning platform for you to better understand the operation of reports, configurations and system options, which helps the learning curve is not as complex as in other programs, as there is this extra help . The control panel is intuitive and allows those who review the information to see detailed summaries and change or modify the information through this panel. In the future could put a function that would allow you to see when a payment or an invoice is generated, the specific time, since not only is it important to know that an invoice has been generated, but the moment, to know details that can Serve in later businesses. The financial structure of any company should have programs such as Sage Intacct that allow you to have more control over expenses, know better the information of payments and sales and also analyze possible future changes or creation of new products to obtain more efficiency. The budgets are now managed more efficiently, since we know better the expenses, the modifications in the projects and the purchases made by the clients in a more detailed way. We can have better forecasts about the future profitability of our products, since Sage Intacct allows us to obtain future forecasts based on the data stored within your system. This is a breakthrough, as it helps us to know how to better manage the projects we are doing at that time. This product has changed the way we do business. The report wizard tool is simply unmatched. We can create a report to reveal the information we want to see, when we want to see it. We don't feel constrained or limited especially with the dimensional flexibility. We appreciate the quarterly updates and the investment that Intacct continues to make in making a better product! There aren't many negatives I have found with Intacct. The only one that really comes to mind is with the user set up. In order to do anything other than view information we would have to pay for additional business users. Not super expensive but wished we'd known that before hand. Consider the size of your business and your reporting needs. Our company is only mid-size and our needs are smaller compared to some mroe complex entities. We are streamlining almost every process. From our front end AR system to our AP process, we've reduced our time frames from days to a matter hours. We've also cut out much of our paper usage. One of the most streamlined processes has been our AP invoice entry process. With the ability to duplicate invoices from older ones we don't need to re-enter information over and over. "Global perspective of the financial area of your company"
We like the facility to carry out the monthly accounting of the company, have the necessary tools so that we can review the capital, the assets of the company, in short, to have a global view of the financial area of our company. We also use a lot of personalized reports to check the performance of specific areas of our company, of the teams, of various business areas, that is, it allows us to divide the financial aspect of any part of the company, which allows us to have a greater financial control. Personalized reports are very useful and have a lot of information, but I think they would be even better if they allow combining several data tables, since it would be even more complete information. Also in this sense, we could improve the design of personalized reports in the future, since the visual appearance is very important and I think that they should continue working on it, since it is still good visually, it can always be improved. One of the most important areas in a company, is the financial area, since it is the one that has the control over corporate profitability globally. Sage Intacct allows you to control and make changes in this area in a simple way, offering complete information through personalized reports, invoices and other sections that help to make management simpler. I often use the import of invoices to have them in the system and order them. With that I achieve a better view of all this section of finance. On the other hand I also use the journal entries, to expose relevant information that I want to have stored to be able to visualize it if necessary. We have also managed to automate and configure the monthly and quarterly transactions, allowing us to have fewer errors and also that it is not necessary to dedicate many human resources to perform these transactions. It has generated considerable time savings within the company. "Sage intacct is the perfect next step after Quickbooks"
I like how versatile the software is. You can have less features for a more basic platform, but you can also add so many feature to make the accounting software specific to you specific company needs. The reporting options are great and the learning platform is truly helpful in knowing how best to use the software. I feel like the customer services in lacking. I have an account manager and I don't really know what his/her purpose is. I'm never sure who to contact in an emergency. I do use the submit a claim feature but sometimes it is nice to have . Specific person to contact regarding the account that can help with random questions. We have been able to have so much more control over our budgeting and forecasting. Being able to upoad our forecast the the software and then generate a report that compares actual to forecast has immensely helped with our planning. "Intacct is a well-designed Financial system with a lot of flexibility for any company"
It is highly customizable, fairly easy to navigate around and use. It supports multiple tenants and can easily (usually) be tweaked to fit the company's business requirements in most situations. Screens can be customized and you can even create your own reports (although not a simple process). It also supports a fairly mature API to assist in automating or updating information into a local database if needed, although it's a bit dated. There are only a couple of places where Intacct could be improved. First, the API is XML based instead of the highly-favored and much more compact JSON format. Not all tables in the system support web hooks (but probably 99% do). There is not a provided driver to pull information from Intacct to generate cross database reporting. It can be a headache to do reporting from Intacct when you need to pull in information that is not already in Intacct or to pull information from another system and Intacct. When needed a financial software that would handle our day-to-day business needs since our existing software had been deprecated and was unsupported. "Flexible dimensions and excellent custom reporting make Intacct a fantastic accounting suite"
Other accounting software can do some of these things, but I haven't found a system that does them as easily or as well. Like many accounting systems with lots of features and flexibility, Intacct is built to work with large manufacturing and distribution companies as well as small nonprofits like my group. The pricing structure may make it difficult to afford for small nonprofit companies, regardless of how well some of the features work for nonprofits. Our organization can only afford the core module, and adding just one module which includes some of the features we need would more than double the annual cost. So we've had to look for less expensive solutions outside the Intacct ecosystem. Anyone considering changing accounting systems will have to weigh the cost against the benefits. Can you afford those slick features? Sometimes settling for less automation and efficiency may be necessary to keep from blowing your budget. Just make sure you have a good way to measure the value in time savings and efficiency, and being able to more clearly see where you're headed financially by gaining features your current system doesn't have. Things like budgeting/forcasting, analysis of historical data, quick answers for leadership or auditors, are all made easier and quicker with the extremely flexible AND user friendly custom reporting features. In our small group, I'm the only accountant, so "separation of duties" is difficult to say the least. But we are able to use electronic approvals and signatures, and the Purchasing menu, so that non-accounting staff can help us stay in compliance. Intacct allows us to make adjustments and reclass transactions easier while still maintaining an appropriate audit trail. Managers and decision makers now have a much higher visibility in real time of how their programs are doing financially. We used to have to export data to Excel, fill out template reports, to print and give managers on paper. Easy software, robust system that can be customized to our specific needs. Once you set key metrics you'd like to keep track of, it's easy to find those metrics and have managers see them as well. Integrated with our other software that makes our invoicing process seamless and reduced the dual entry tasks that we had to do before. The price for someone to be able to do basic data inputting is a little steep. Especially when we really only need them to be in a small portion of the system but have to pay the full price as all other users. It is something we have come to terms with but it would be nice to have a better hierarchy of pricing based on the amount of work someone is actually doing in the system. Make sure it checks all of your boxes but if it does check all of your boxes, it will do a great job for you. The system is super easy to learn and can give you a lot of insight into your business. Better visibility into all aspects of our accounting and finances. The benefits of being able to access my key financial numbers from anywhere in the world as long as I have wifi has been a major benefit. "Always excited to see what else we can do with the system and any new features"
I would say what I enjoy most about Intacct is that you are able to create anything you can imagine and pretty much put into play. It is easy to manage and always changing. There are great releases that happen and allow you to continue to grow and evolve with the times. I would love to be able to send customer statements from the system with custom messaging, which is not available currently. Also would be great if you could see a transactions GL affect from the transactions itself without having to memorize each transaction setup. If you want something that you can customize and not have to work around a system to get it to function for you then this is your product! Efficiency in time from invoicing customers to paying vendors. Close has significantly been reduced in time. Better reporting capabilities. "Tremendous value and unlimited potential"
Our company has seen some amazing efficiency improvements with Sage Intacct - everything from cash postings, reconciliations, to using the purchasing module to approve and process invoices. We compared Sage Intacct to all the peer competitors and it is by far the best value, especially using the very inexpensive Employee licenses for items such as Dashboards. Another thing we like best is that we can make any needed changes ourselves - no need for outside consultants or programmers. With Sage Intacct, if you can think of it, the application can make it happen - so our only limitations is our own time to implement new ideas and efficiencies. Another plus is that this application will continue to evolve in the future and it will be exciting to see what is in store. It is important to understand if you can adapt and update your accounting application yourself, without using an outside programmer. With Sage Intacct, once you are set up, you can handle virtually all changes or improvements yourself. We use Sage Intacct Dashboards to communicate financial results to our many locations in different states. Our internal communication has been greatly improved due to these Dashboards. We were also able to drop an outside Accounts Payable program and use the in-application purchasing module to process virtually thousands of invoices each month. "Overall great accounting software for any size company"
This accounting software can be highly customized to your companies needs. From custom reporting to special email templates to custom invoice/statements. I like the automation of my monthly invoices and the batch process to send them all out at once. Our company requires very detailed reports for different departments and technologies and we were able to get all the information we needed. I really like that we can upload our Amex entry to AP right from Excel. I would really like to have a customer/vendor dashboard where I can see all the activity in one screen. I like to be able to see when exactly a payment was made or invoice/credit generated. I would also like to make simple adjustments right on the screen when a customer makes a payment instead of going to another window, not very efficient. Some of the reporting doesn't let you drill down to find the exact source of the entry. With the detailed reporting we are now able to provide reports to each of the department manager so they can see how they are performing and provide feedback. We are saving a lot of time because of some of the automation this software provides which is a huge bonus for us. Sage Intacct provides a complete way of managing both the accounts of the customers and the accounts of the company. Intacct provides and easy way to access all the payment information needed, nothing to complain about. Intacct condenses all of the information needed to find the current bills, refunds, and balances of customers in a simply and easy format. It saves times as you can even bookmark exactly where you need to go within the system itself. It is very easy to use and does not take long to learn the software, how it works, and where to quickly find the information you and your customers need. Accounts Payable, Bills, and Receivables are all managed and kept in a safe and easy to use environment. This has helped ease the conversations of money with customers. Quick and Easy access. "Flexible, capable, constantly upgrading software"
Transitioned difficult reporting into real time dashboards. Also allowed us to report at a much deeper level which made it easier for us to review on the accounting side as well as to provide the detailed data necessary to help grow our company. "Great company, even better software!" The implementation process was smooth sailing. Everything that we expected the software to do, it does! Great reporting capability!! It's very user friendly, training and implementation was faster than expected. Tags= life changer! My one and only complain is that there isn't a "Back" or "Next" button within a module for entries. In the AP module- when auto populating from previous invoices ALL the data repopulates when I only would like the line items (entries) to repopulate. You have to remember that when you are switching software, some (or most) of your company's internal processes will have to change in order for the system to work for you. You can't but the old into the new, you must upgrade and adapt. I would also recommend implementing internally versus seeking outside an implementation company. 1) MONEY SAVER 2) only you know exactly how your company works, its needs, and what you want in the system. We're spending less time on day-to-day tasks and more time analyzing and reporting on real time data! Tracking receivables has become easier and journal entries are a thing of the past! "It works well for the most part." I like how easy it is to log in via the internet and the ease of navigation within the software. The layout and display is easy to read and move around in especially when entering invoices in the accounts payable section and when running the G.L. The modules that were added on aren't the best. We can tell they weren't part of intacct originally and seem to be added on after the fact. The prepaids, fixed asset and purchasing modules will work most of the time, but sometimes there is a glitch and it doesn't work at all which create a headache that I don't need, and takes me extra time trying to communicate with support what is wrong. The multiple currencies was not up to par as well. We use 4 different currencies besides USD and it seems to us that this software was not developed with multiple currencies in mind as some areas and modules show up in USD instead of the originating currency. I like the ease of use in running the G.L for specific queries. I find it easy to search for what I am looking for and nail down to the specific entry or invoice etc that I am looking for. This has led to more analysis and understanding of our numbers and has helped tremendously in investigating anomalies. "Takes some getting used to, Could use a few adjustments"
The nulti-entity environment. WE used to use Quickbooks Enterprise, and over time it slowly degraded, so we decided it was time for a more robust software. With Intacct, we are able to perform tasks for all entities without logging out/logging in all the time. The rollup of all the entity financials is very helpful, vs exporting several reports and combining them manually. Some abilties seem very random; you can enter bank accounts at the top level and select them from each entity, but a charge card needs to be assigned to a specific entity and you can only see it at the top level or the entity it was assigned to. You can import credit card charges, but not checks. You can see and create invoices for all entities at the top level, but you cannot create a deposit at the top level (combining payments from a customer for clients/invoices in two entities). Definitely rooom for feature improvements. Do your research and definitely do a trial environment first to see if it works for you. Also we specifically asked if Intacct connected with Connectwise, as we would not purchase a system that didn't sync with Connectwise. We were assured that it would, and DataBlend could make it work; sure, but it took several months and it appears they want about $30,000 to design something we were assured would work and that they can now use for other clients. Be very careful of promises. Seeing all our entities combine; not having to log in to multiple Quickbooks files to view items, better dimensions for reporting purposes. It's a web based very secure system, great multi-dimensional reporting, you can easily write any type of internal reporting needed, the project module is great, easy to use and Intacct support are very responsive & resolve issues quickly. The budget module is very basic but of what I heard in the last conference there will be some improvements coming up. It is a great product especially if you are in service industry. It made our life much easier. The main benefit we realized is efficiency and my team started focusing more on what adds value to the business instead of wasting most of their time running different reports on excel sheets. "Highly configurable and powerful, but not without its quirks"
- Quickly being able to build out a set of different internal books, like a pro-forma view of what your 2 companies would have looked like financially had they always been 2 companies (not recently split off from 1). #1 - Expect to spend a lot of time setting up this system -- both with your implementation partner and after. While the system is quite powerful and configurable, someone has to set it up. - Small business discount maxing out at 3 users -- heavy increase on subscriptions if we expand by one more business user. - Some settings are not granular enough, for example turning off an employee type user's ability to email a PO to a vendor while still providing them with related abilities for internal purposes. - Configurable emails are limited to customers only. No customization on email to vendors. - Using merge fields is very tedious and time consuming. If you want to build a cover letter to go with those weekly automated emails, forget it. Apparently there was once a Word plug in that assisted with this -- it's stated to be no longer supported but remains downloadable. - The additional fee for use of APIs and a sandbox environment -- one of the selling points of the system is that it's "built to integrate with other systems" and it's primary function is as the accounting piece. So why not include these features to begin with? - Other features: Payroll -- We don't use it because it's not offered. Selecting Intacct means you'll need to select a new payroll provider. We opted for ADP to enhance our HR offerings and use this partner's pre-integrated platform to port over weekly payroll activity. This was another big implementation we took on last year. I elected to continue using Quickbooks for payroll the next 2 quarters while we configured this piece after we had Intacct configured. - Downloading banking activity requires a 3rd party integration, which you'll also need to separately implement with that vendor since Intacct is so highly configurable, mapping to your dimensions isn't standardized. - There aren't a ton of pre-built reports and building reports, while powerful, is very time consuming. Of course, it's to do your homework. I relied heavily on resources like G2Crowd for pooling together unbiased, education reviews before approaching vendors. Infor was the top contender for an all-in-one ERP before we decided on a best of breed approach. Have patience in the process. Ask lots of questions. Demo and ask if you can have a login ID to test drive. Know your requirements. We worked with a local accounting firm for consultation on what we wanted our entire system to do. Don't neglect doing homework on the support. Don't expect perfection, but know what your deal breakers are. Ask if you can have a community user setup before making a purchase. I'm not sure if that's a thing, but I think you'll be surprised at some quirky little things that you'd expect to be quickly taken care of that aren't. Like an 11 year old "under consideration" request to increase the max logo resolution from 216 x 43 pixels to 300 x 300 pixels -- you'll actually need to remove your logo from all the standard reports or IT WILL print pixelated. This in and of itself shouldn't be a deal breaker, but the small things you expect to be inherited add up. You don't need to come up with an exhaustive list of everything, but you do need to ask lots of questions while you demo. We LOVED working with Cargas. We worked with excellent communicators and project managers dedicated to keeping us on timeline and budget. Several features we are not using today will be used at a later time. While we implemented the accounting piece of Intacct last year, this was the first of many pieces that we are still custom developing. The purpose for selecting a more powerful accounting system was so that it could eventually serve as the warehouse of financial transactions, business rules manager of financial transaction and for building reports and dashboards for executive overview. I will absolutely update this review if given the opportunity once we have our custom pieces developed and integrated. "Powerful Time and Expense Tracking Software, But Not Very User Friendly"
At our marketing agency, we used to have time tracking and client invoicing as two completely separate operations. Now that we use Intacct, we are able to save a lot of time by getting both tasks accomplish in one piece of software. The interface is not very user friendly. It can be difficult to find the best way to accomplish simple tasks, until you know what you are doing. Compared to Harvest, it takes me much longer to fill out my weekly time sheets because there are so many more options that need to be selected (seems like there is a lot of room for simplification). This piece of software has a lot of powerful features but can take a good bit of time to implement and get all of your employees up to speed. It's probably a better fit for a larger business vs. a smaller one. I like the interface, the fact that I can see multiple entities on a top level, all things that make my work life easier. I get frustrated by being logged out and the system not alerting me until I am trying to navigate something and it acts like I'm still logged in until it goes to the next screen. Also, the cash vs. accrual reporting is really not great. We have investments to track and Intacct has been very instrumental in that being much more transparent and easy to navigate. We also have multiple entities and intercompany transactions which have been simplified as a result of implementing Intacct. We save hours each month just from that alone. ""Gigantic esteem and boundless potential""
Our organization has seen some astonishing effectiveness upgrades with Sage Intacct - everything from money postings, compromises, to utilizing the acquiring module to endorse and process solicitations. We contrasted Sage Intacct with all the friend contenders and it is by a long shot the best esteem, particularly utilizing the modest Employee licenses for things, for example, Dashboards. Something else we like best is that we can roll out any required improvements ourselves - no requirement for outside experts or software engineers. With Sage Intacct, in the event that you can consider it, the application can get it going - so our solitary confinements is our own opportunity to execute new thoughts and efficiencies. Another in addition to is that this application will keep on advancing later on and it will energize see what is coming up. It is vital to comprehend on the off chance that you can adjust and refresh your bookkeeping application yourself, without utilizing an outside software engineer. With Sage Intacct, when you are set up, you can deal with practically all progressions or enhancements yourself. We utilize Sage Intacct Dashboards to convey money related outcomes to our numerous areas in various states. Our inside correspondence has been extraordinarily improved because of these Dashboards. We were additionally ready to drop an outside Accounts Payable program and utilize the in-application obtaining module to process for all intents and purposes a large number of solicitations every month. ""Amazing instrument to assume responsibility for accounts""
It is a perfect framework for conveying funds, including bookkeeping, organization, charging, contract organization, among others. I truly like the interface, which encourages more the great utilization of this, and critical that it is synchronized with the cloud and our information is completely defended. The reports and designs produced are clear and exact, and permit to acquire an all the more clear and definite data. It is an extremely simple to utilize framework, and meets every one of the necessities of the organization. The main thing is the cost, it is somewhat high. It is a standout amongst the best frameworks, for medium, little or non-benefit organizations. It enables you to keep accounts, control costs, charging, contract organization, and significantly more. In a successful manner, giving examination and illustrations that assistance in deciding. It is right now used to do bookkeeping, charging and contract organization. It is entirely adaptable and valuable, the reports and designs created are amazing and help to settle on better choices dependent on the investigation produced by the set up setups. Exceptionally adaptable, very simple to explore and utilize. It bolsters numerous occupants and can without much of a stretch (regularly) adjust to business needs as a rule. Screens can be redone and you can even make your own reports. The cloud base part of it is stunning. You can hit the back fasten or open numerous windows to work in two distinct screens. I like the basic erase and transfer diary sections just as the re-class catch in records payable. the payables record does not adjust to the general record on an individual organization level. On the off chance that you have a multi-element business and you have a bill for organization An and that organization has an intercompany association with Company B. You can pay the bill from organization An on Company B's records or utilize the credit or whatever forward and backward, be that as it may, when you balance toward the month's end, your general AP record and GL record will adjust yet the individual organizations won't demonstrate those outside installments for the month your adjusting. Extraordinary for multi element revealing and the executives. Set aside the effort to take a seat and decide precisely what you need your bookkeeping programming to accomplish for you. Odds are Intacct as of now has the ability to do it, however you simply need to know precisely what you need to do preceding usage to ensure you get the a large portion of your item from the begin. I recommend it for any rapidly creating affiliation that intend to use any cloud based ERP programming. Custom Invoicing combination with Salesforce CRM. The executives of evaluating and items with Intacct that refreshes Saleforce as well. Having the capacity to give our examiners client access to Intacct so they can run their very own reports and view all the checked supporting documentation possesses spared heaps of recording energy for my bookkeeping staff. We were likewise ready to take out paper Purchase Requisitions by moving everything on the web through the Purchasing module. "Excelente herramienta para llevar control las finanzas"
Es un sistema ideal para llevar las finanzas, incluye contabilidad, administración, facturación, administración de contratos, entre otros. Me gusta mucho la interfaz, lo que facilita mas el buen uso de este, y muy importante que se sincroniza con la nube y nuestra data queda totalmente resguardada. Los informes y graficos generados son claros y precisos, y permiten obtener una información mas clara y detallada. Es un sistema muy fácil de usar, y cumple con todos los requerimientos de la empresa. Lo único es el costo,es un poco elevado. Es uno de los mejores sistemas, para mediana, pequeña o empresas sin fines de lucro. Permite llevar la contabilidad, control de gastos, facturación, administración de contratos, y mucho mas. De una manera efectiva, aportando análisis y gráficos que ayudan en la toma de decisiones. Actualmente se usa para llevar la contabilidad, facturación y administración de contratos. Es muy flexible y útil, los informes y gráficos generados son excelente y ayudan a tomar mejores decisiones basándose en los análisis generados según las configuraciones establecidas. "Una mejor gestión financiera gracias Sage Intacct"
En un Software de contabilidad basado en la nube muy facil de usar, Esta gran herramienta les hace la vida mas facil a los CFO, los controladores y los contadores. Ya que les permite realizar de manera automatizada multiples tareas financieras , desde las mas sencillas como lo son: inventario, cuentas por pagar, cuentas por cobrar, libro mayor y compras, hasta las tareas mas complejas como: facturación de contratos y suscripciones, administración de ingresos, facturación de proyectos. Mi experiencia con este producto hasta la fecha ha sido totalmente satisfactoria, Sage Intacct es un gran software de contabilidad, y es el alidado ideal de los CFO, los controladores y los contadores. 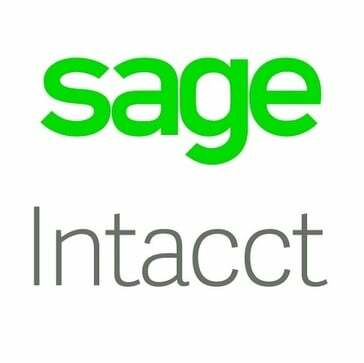 Sage Intacct es una solución de administración financiera y contable basada en la nube que ayuda a mejorar la productividad de los CFO, los controladores y los contadores mediante la automatización de tareas desde las mas simples hasta las mas complejas. La recomiendo abiertamente ya que es una solución dirigida a pequeñas y medianas empresas de alto crecimiento, desde empresas nuevas hasta empresas públicas. Reducción de posibilidades de errores, acceso en cualquier momento y desde cualquier lugar (hogar, oficina, cafetería), aumento de la productividad, Y ademas se puede complementar con múltiples aplicaciones ( Salesforce, ADP , Avalara, Paychex y Clarizen ) a través de un conector preconstruido (listado en el Mercado de Sage Intacct) o conexiones personalizadas a través de la API de servicios web. "Great cloud based accounting system"
Exceptionally simple to utilize. There is nothing you can do in the product that can't be fixed. It has enabled us to do the bookkeeping of various substances, all with various plans of action and tasks. Whenever we begin another business we can make a substance and diagram of records rapidly and consistently. It has changed the manner in which we work together. The report wizard device is basically unmatched. We can make a report to uncover the data we need to see, when we need to see it. We don't feel obliged or restricted particularly with the dimensional adaptability. We value the quarterly updates and the speculation that Intacct keeps on making in making a superior item! Now and again in the event that you are including an issue inside the product, if it is anything but a high need issue, it can take somewhat longer than you would hope to get it settled. Consider the extent of your business and your revealing needs. It does as such substantially more than you can even envision. There are approaches to utilize the product inventively, that is something that isn't really advertised. In the event that you are thinking about whether the product can do it, the best thing I prescribe is to give it a shot or make the inquiry. It has enabled us to have a lean bookkeeping staff, work from anyplace, and realize that there are such a large number of various ways you can utilize the arrangement. We are streamlining pretty much every procedure. From our front end AR framework to our AP procedure, we've diminished our time spans from days to an issue hours. We've likewise removed a lot of our paper use. A standout amongst the most streamlined procedures has been our AP receipt passage process. With the capacity to copy solicitations from more seasoned ones we don't have to reemerge data again and again. "It is worth using financial software such as sage Intacc"
The way of generating reports is essential to obtain more efficient results and the certainty that the numbers shown help the financial part of the company, I am surprised how it is updated and plays with modernization, it has a fairly broad and simple interface, The best thing about all this is that the statements can be made personalized. For a common user, the prices may be quite high, because as mentioned above, it is a fairly complete software and is necessary for those large companies, but users sometimes need a software like sage intact, just like me. I would like that when declaring I could send my clients the declaration and add a small personalized message. I believe that they should measure the magnitude of how far they intend to invest since intact sage is somewhat costly but it is a fairly complete, easy, and easy to implement software, if it is something big you will get more advantages than disadvantages, in the end only you know exactly how your company works, knows your needs and which system is what your company needs. It helped me save a lot of time, helped me to reduce the use of paper, and helped me save many calculations for future investments, in the organization it helped me to generate more detailed and personalized reports for each manager of the different departments of the company. "The trade off with intacct"
I like that the platform is well laid out and easy to navigate. Everything can be easily found within the drop down menus and a plethora of search options and reporting features. My only knock on the software is it’s inabimity to seamlessly integrate with our CRM, SalesForce. At times sales orders and invoices don’t properly transfer over. Also, at times the system errors out and you just go back in and redo things... sometimes the systems properly carried out your request and other times it does not. Make sure that if you’re pairing with other software that you check for any known issues. The ability to have clean and concise invoicing and clean reporting. First off, I love the speed of Intacct. The dashboards refresh in seconds and reports run quickly, online or offline. Second, the user experience is excellent. I am okay with some complex screens but Intacct keeps it to the essential stuff. It's surprised me how quickly users of Quickbooks adapt to a system that's actually a lot more complex underneath. Customizability! I can rearrange the input screens (somewhat), write my own reports and dashboards, even make SmartRules and SmartEvents to keep things on the straight and narrow. I don't like how the Intacct handles company charge cards. The process for recording and paying off card charges seems unnecessarily complicated and I'm hoping they'll fix that in an upcoming release. Consider implementing and integrating in phases. Start with core financials and integrate expense reporting and bill payment. Later add Projects, Contracts and other complex processes and integrations with Salesforce, etc. Don't use for manufacturing or heavy inventory at this time. A big one for us is Project Costing. With Sage Intacct we have timesheets and expense reports that feed right into Projects. We can bill those hours and expenses right back out again automatically. Or, for projects where we are charging a flat rate, these things go into the cost and we can instantly see whether we're profitable. Also love custom dashboards with Performance Cards, so I can devise metrics I want to track and see them right there every time I open Intacct. "Intacct Accounts Payable has Streamlined our Business"
Intacct is very easy to use and quite intuitive. I like the user interface and ease to set up security roles and permissions to have a well segregated and audited process. Honestly there is nothing we dislike about the product. They are currently in beta of a new user interface and we spend much of our time working in the beta version which is very nice. A key to getting started in the right direction is to get with a good implementation specialist. We moved from Quickbooks to Intacct and find the two products to be on completely different levels as far as feature sets. Intacct automates a lot of processes for us and the reporting is excellent. No longer need to use Excel so much. It is highly customizable, quite easy to navigate and use. It supports multiple tenants and can easily (normally) adapt to business needs in most situations. Monitors can be customized and you can even create your own reports (though not a simple process). It also supports a fairly mature API that helps automate or update information to a local database, if needed, even if it is a bit dated. There are only a few places where Intacct could be improved. First, the API is XML-based instead of the high-favored and much more compact JSON format. Not all tables in system support web hooks (but probably 99% do). There is no provided driver to extract information from Intacct to generate cross-database reporting. It can be a headache to report from Intacct when you need to pull information that is not already in Intacct or to retrieve information from another system and Intacct. Anyone considering changing accounting systems should balance the cost against the benefits. Can you afford the smart features? Sometimes it may be necessary to settle less automation and efficiency to avoid bursting your budget. Just make sure you have a good way to measure the value in time savings and efficiency, and to be able to see more clearly where you are going financially by getting features that your current system does not have. Things like budgeting / forcasting, historical data analysis, quick responses to management, or auditors are all getting easier and faster with the highly flexible and easy-to-use custom reporting features. In our small group, I'm the only accountant, so it's hard to say "separation of duties". But we can use electronic approvals and signatures and the shopping menu, so non-accountants can help us comply. Intacct allows us to make adjustments and reclassify transactions more easily while maintaining an appropriate audit trail. "It was the affordable solution we were looking for at a time when we need it the most." We have multiple entities and therefore have to prepare consolidations, prior to Intacct we were using QuickBooks which means we were having to do a lot of manual preparation in order to provide consolidations. Sage Intacct provided the solution we were looking for from both a pricing and system perspective. Would have liked to have a better understanding of the implementation process, we eventually engaged one of Intaccts partners to help us with implementation after we had gone through the process with one of Intaccts project managers. Compare Sage Intacct to other systems, kick the tires and make sure it's the right fit for your organization, I believe you'll find regardless of the size of your organization Sage Intacct has the right solutions. We've been able to automate the AP process, invoices are sent to Yooz data management service, then sent to Intacct for processing and then sent to AMEX for check delivery, this has helped us really streamline the AP process. "Integrating in a hurry but you get into the groove one year being live"
The cloud base aspect of it is lovely. You can hit the back button or open up multiple windows to work in two different screens. I like the simple delete and upload journal entries as well as the re-class button in accounts payable. I like the intuitive using Intacct, but the integration process was too quick. We didn't have time to validate if the information will feed through correctly and be able to use Intacct during test phase before going live. There should be a smooth transition process but we were rushed to complete with our integration manager within 1.5 months. Fixing old data from when we start Intacct. We expected to have clean and correct data what we needed from the transition from Quickbooks to Intacct. We are left with some old data from the first few months we wish we could prevent recording in the live environment. I cannot stress the integration process should be the most important part of the process. "Best Cloud Based Accounting System"
Sage Intacct is very easy to use. There is nothing you can do in the software that can't be undone. It has allowed us to do the accounting of multiple entities, all with different business models and operations. Anytime we start a new business we are able to create an entity and chart of accounts quickly and seamlessly. Sometimes if you are having an issue within the software, if it's not a high priority issue, it can take a little bit longer than you would expect to get it resolved. But when it does get resolved it works seamlessly. Sage Intacct does so much more than you can even imagine. There are ways to use the software innovatively, that is something that isn't necessarily marketed. If you are wondering if the software can do it, the best thing I recommend is to try it out or ask the question. "Mostly Positive - Way better than QuickBooks"
There is ease going between companies and a simple way to understand what level you are recording entries in. There are several options for reporting that allow you to start with an out of the box and customize it to fit your needs. The best part is the importing of transactions. Those mortgages where all the information is the same but the principle and interest amounts change each month? No problem create a spreadsheet once and then just change the amounts each month. Your entry time is reduced significantly and your data is accurate all the time. We use this for utility bills, mortgages, amortization entries, and intercompany interest. In the platform reporting, it is difficult to discern how to get the information you want. I find I need to get a lot of information and then back off some of the fields because what I thought the titles meant and the information I got do not always mesh. it is frustrating to use when you are attempting to glean information in a specific format for a meeting or other reporting. There is a preview, but I would have liked to see some more guidance in the wizard, especially help in where the information will come from and which details I can get if I use that reporting format. I also dislike that the payables ledger does not balance to the general ledger on an individual company level. If you have a multi-entity business and you have a bill for company A and that company has an intercompany relationship with Company B. You can pay the bill from company A on Company B's accounts or use the credit or whatever back and forth, however, when you balance at the end of the month, your overall (top level) AP ledger and GL ledger will balance but the individual companies will not show those outside payments for the month your balancing. Overall it is a good product with many ways to customize and expand. I think most businesses would benefit from it. The only drawback is the balancing of the individual entity ledgers to the general ledger. They dropped the ball on that one. We were using QuickBooks for an 18 company business. Just the time savings in one chart of accounts, one vendor list and not having to sign out and into companies is a huge benefit. We've also been able to give greater detail in our reporting. We created our own paperless ap intake system utilizing the API feature Intacct offers and work with 2CP to accept online payments from our customers which automatically post to the customer's account. The online payment process is so seamless our new leases require our customers to use it to process their rent payments. "Accounting system for non-profits and Salesforce integration"
Thoughtfully broad system that satisfies varied accounting needs for our company. We have a variety of types of needs (e.g. Education for Schools, Graduate Program, Conference Events program and Philanthropy to name most of our key programs). There are many aspects of this system that really help us have a central program to handle it all. PLUS, they Intacct integrates with Salesforce and Nexonia to streamline and customize our busiest work. Consider the integrations that you need too. Review not only Intacct, but also the systems that would be nice to have import and help you get your data into Intacct. Import of CC transactions via Nexonia to help get all of our receipts and charges managed by the employee and into Intacct faster and easier for our Accounting team. Custom Invoicing integration with Salesforce CRM. Management of pricing and products with Intacct that updates Saleforce too. Intacct is very user friendly and the UI is very easy to use. Intacct has high customization, and the product receives frequent quality of life updates. The core services are relatively inexpensive compared to many other competitors. There are a lot of helpful and useful modules for Intacct, however they can become quite costly for a non-profit who is always looking for places to save money. Also, the new interactive report writer is amazing, but the additional cost to utilize it is not something that our Organization can handle right now. Take the time to sit down and determine exactly what you want your accounting software to do for you. Chances are Intacct already has the capability to do it, but you just need to know exactly what you want to do prior to implementation to make sure you get the most of of your product from the start. Being able to provide our auditors with user access to Intacct so they can run their own reports and view all the scanned supporting documentation has saved lots of filing time for my accounting staff. We were also able to eliminate paper Purchase Requisitions by moving everything online through the Purchasing module. The functionality to have multiple books for several organizations that can all consolidate or have inter-company relationships on the profit and loss and balance sheets. The reporting and dashboard functions have given us the ability to look deeper into our finances than ever before. Furthermore, allowing for "business users" to access the system has relieved my team hours a week with people coming and looking for invoices, back up, ect. with journal entries as we are able to scan/attach backup right to the journal. The user interface can be difficult at times to navigate in their beta mode. Overall, this is a very small concern for me and my accounting staff. Some General Ledger reporting took some time to get use to coming from Dynamics, but overall, we can find and get to the information we are looking for with limited to no effort. Great for multi entity reporting and management. We are seeing that month end procedures are becoming more streamlined, recurring journal entries are easier than ever, and we are gaining visibility for department managers to see accounting data in real time. Also, we have multiple entities that have subsidiaries in other countries, so while we may not want to reconcile the subsidiaries activity monthly into our actuals, we can use statistical accounts to report this data without affecting our general ledger. "my experience in working with sage Intact"
Sage Intacct is a stand out cloud accounting game plan. As cloud programming, Intacct is continually accessible, at whatever point, wherever. Also, it's stand out design suggests it's especially attempted to fuse with other programming you use to keep up your business. On the opposite side, Sage Intacct's operational value is unquestionably not a perfect fit for every business, and a couple of customers need to scan out outcast responses for manage a segment of their amassing, stock, account, time and cost the load up, and arranging needs. Customers tumbling off of private endeavor accounting programming will when all is said in done experience sticker shock from Intacct's expense. However, it's basic to recall that the expense is as per similar mid-grandstand commitments. Execution must be supervised by Sage Intacct or one of the association's trading accessories, a downside for associations who have the particular fitness to manage their own use and would incline toward not to incorporate an outside gathering. Additionally, customers' contribution with their assistants was changed, some positive and some negative, including the need to find a strong counterpart for your business. There really isn't anything I can think of that I would say I dislike about the software. Take the time to get your data organized before implementing, as it will be well worth it. Intacct can do virtually anything you can comprehend from an ERP system, from Contracts to Order Entry to A/R and Collections, to Project Management, Purchasing, Accounts Payable, and Cash Management ... and of course, a best-in-class financial reporting package including customizable, role-based dashboards featuring drill-down into underlying transaction data. You can track employee time and expense as well, and allocate to projects. To properly capitalize on the conversion to Intacct, however, it will pay off to really put the time in to scrub your legacy data first: get rid of old vendors, GL accounts rarely if ever used, etc. Intuitive, easy to use financial system! Productivity has skyrocketed after implementing Intacct for our non-profit organization. We love the accessibility and reporting as well as the flexibility offered with the use of dimensions. Our employee users love the dashboard feature and the availability of real time data! We would love to see a mobile application that is easy to operate on the go! Some approvers within our company struggle with approving consistently as many are traveling and have trouble with technology in general. Some others complain about the comments section after declining a transaction. You can access it after clicking inside the history, but they would like easier access to see comments. Sage Intacct provides real time data to our key decision makers, including executives and department managers. Dashboards have been a game-changer for our organization. Dimensions provide the ability to slice and dice our data in a way that is useful for analysis. Intacct provides a lot of flexibility with other software tools and has a nice UI. The system makes it easy to enter data quickly and accurately. It's difficult to get data to print on check stubs. That can be troublesome for things like tax returns. Intacct provides a robust solution that makes most accounting functions notably easier. With a user friendly user interface and a strong reporting tool it makes most of my work much easier to accomplish. Intacct offers multi-dimensional entries, which are handled easily by this system. It saves a great deal of time. Its reporting system is better than most out there. Ease of use, ability to run reporting and transactions with few mouse clicks. Clunky when trying to use in manufacturing environment, global consolidation module can be tricky and hard for first-time users. Too many steps in duplicating user profiles to create new users and setting up their permissions. Creating custom reports is not as easy in Intacct as it is in SAP and other more versatile software packages. Make sure your company is at a point where you need something this versatile. When it was set up for our company by my predecessors, future growth and business needs were not taken into account making it an extremely expensive GL solution for our current needs. "The Best move you can make"
The automation of data entry cut down on our bookkeeper's time by 25% - 50%; allowing her to take on additional duties. The ability to customize reports EXACTLY how you want/need is limitless and provides an in depth look at your company with a click of a button, once your reports are built. There are minor features that do not exist in Intacct that I would love to see added (such as keyboard shortcuts for saving an entry). But nothing worth complaining about or that inhibits the usability of the system. If you're on the fence - the cost of Intacct is more than worth the time saved (labor expense). Everyone would love the ability to free up time in order to maintain a more balanced workload, or take on additional duties. Intacct is the solution to get you there! Quicker reporting/insights. A LOT less data/manual entry of information. We've moved from spending hours on data entry to being able to spend more time analyzing the information in the system. Bookkeeping tasks are streamlined because of the ability to mass import transactions. There is no question that my favorite part of the Sage Intacct system is the reliability followed closely by a ability to link to other business products that enhance our efficiency and productivity. I am still struggling with the report writer to get the data I need out of the system when and how I need it. Recent enhancements have helped but I am still learning. Understand your business so you don't waste time in the implementation process revising structural issues that could have been addressed at outset. Our organization has a global reach and Intacct is allowing us to reach all our players in real time to do our business now instead of tomorrow. We are saving money and of course time as a result. The layout and organization of the software is easy to use. They release new updates quarterly which improve features of the software. Custom reports take a long time to build because it takes a while to get all the Account Groups set up. It sounds like they have made improvements to this feature but I haven't tried it out yet. We have been able to streamline and sync the accounting records and processes of several sister organizations to since we began to use Sage Intacct. This has enabled comparison of financial records, effective communication within the accounting software and consistency among several organizations. Very structured and organized accounting system. Convenient to keep track of records. I like that the system keeps track of all the invoice and document numbers, which nullifies duplication or reckless mistake. I would say that it is a periodic failure in the reflection of recent records in general ledger. Sometimes I enter an invoice, and it does not show up until the next day or so. And it creates a little of confusion and it is not very often. Entering invoices, processing payments, working on financial projects. It is just fast and convenient. You have everything you need already organized and generated for you. Reporting feature within Intacct doesn't require much scripting knowledge. It can be done basic block building configurations. Also has ability to perform automation works especially with smart event and smart rules. Intacct also allows building custom applications if the out of box solution doesn't meet the business needs. It only reports in single currency, there's no way to report in multiple currencies. We were having multi-entity with multi currencies structure. Intacct only allows reporting into a single currency, either base or local, can do both. This is one of the feature that I think Intacct should improve on. Yes, Intacct is very user friendly and has a pool of functions that meets business needs. The dashboards from Intacct allows client/auditors to access client's data instantaneously without much hassle. Also the reports from Intacct has enough flexibility to produce custom reports based on client's demand. I think the ease of use with the product. I also like the reporting features. I use the product for running Accounts Payable and Financial related reports. I also feel that posting and adjusting journal entries is a really great process in Intacct. I've used other accounting programs and this is definitely one of the best out there. The only thing I wish was better is the ease of creating and modifying my existing financial reports. I used FRX in the past and it was very easy for me to create new financial reports. Now I feel there are too many steps to create the reports and wish the process were a little less time consuming. I am providing timely financial reporting for my company and am able to be more hands on. In the past our business had an outsourced accounting function and we didn't have access to the data daily. I like the easy and intuitive interface - it has a lot of functionality. I know recently that our company realized that there were features that intact offered that we were not using this included the project dimension which is a great tool for nonprofit grant tracking. I like that Intacct has a two step verification which gets sent to my phone every time I clear my history or my chance. There is nothing that I dislike about Intacct. I think that it is overall extremely intuitive . I do know that the customer support we have received is not the best. However, I just input bills and card charges. I do not feel that I am qualified to recommend this to anyone, as I just use it at its basic functionality. I have heard that it is a great software and I hope that the small amount of input I have given will be enough to help out potential buyers. Accounting and bookkeeping for the nonprofit organization. Preparing for audits. Although I think intact has a learning curve, I think the basic functions are extremely intuitive. If you want to learn to do reporting, I think there a bit more of a learning curve and a need for knowledge of basic accounting and bookkeeping concepts. As an administrative assistant, I think that Intacct is great for the function that I am using the product at, which is account reconciliations, AP input, Manual payments, ect. * We monitor all Sage Intacct reviews to prevent fraudulent reviews and keep review quality high. We do not post reviews by company employees or direct competitors. Validated reviews require the user to submit a screenshot of the product containing their user ID, in order to verify a user is an actual user of the product. Hi there! Are you looking to implement a solution like Sage Intacct?